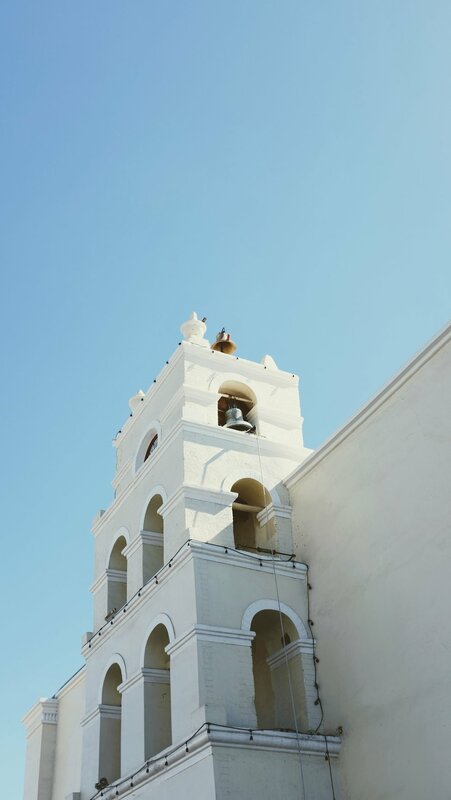 Tucked between the Pacific Ocean and foothills of the Sierra de la Laguna Mountains, Todos Santos has a little bit of something for everyone: pristine beaches and world-class surf breaks; hole-in-the-wall taco stands and upscale restaurants; independent boutiques and galleries and handsomely restored colonial buildings with stories to tell. 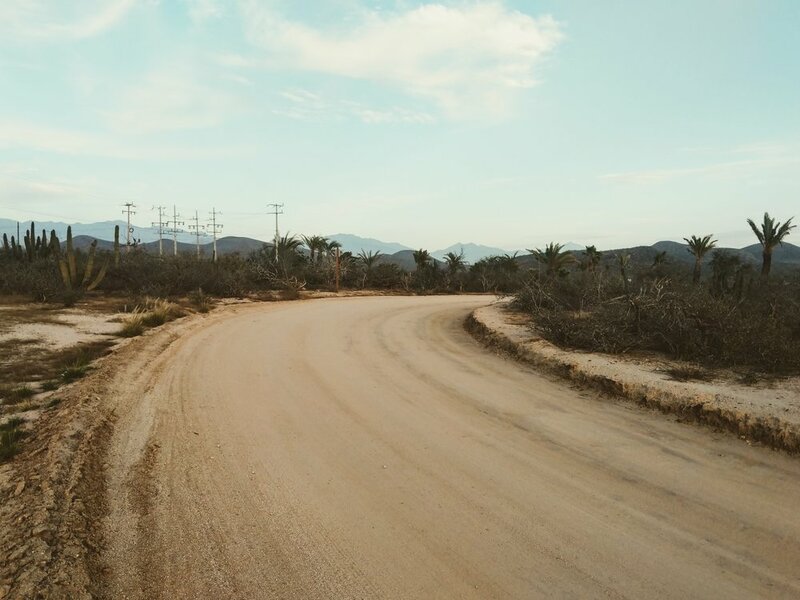 Designated as a “Pueblo Magico” by the Mexican Government in 2006, Todos was officially founded in 1724 – once the sugar cane capital of Baja, this lush and sleepy oasis of adobes, palm trees and saguaro cacti is now home to avocado and papaya orchards. The pace here is slow and unhurried, and the fish tacos some of the tastiest around. 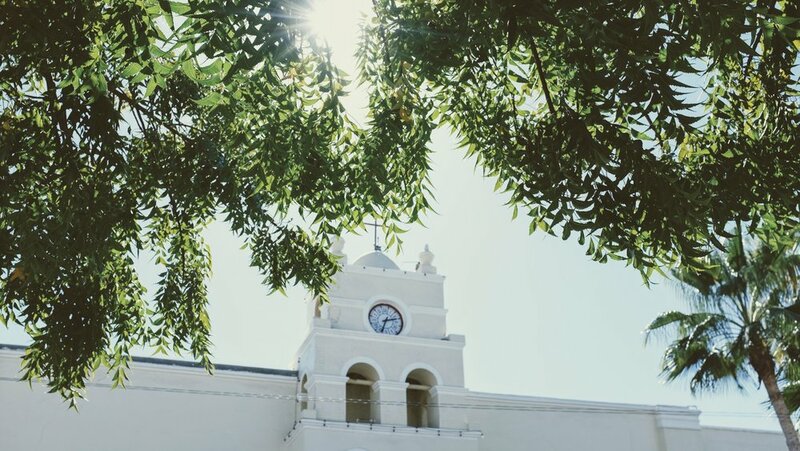 This charming boutique bed and breakfast is just a few blocks from the town square – the artsy white washed adobe is home to eight rooms and casitas, an outdoor bar and pretty Talvera tiled swimming pool. From $150 a night. Get the best of both worlds at this historic downtown hotel steps from Todos Santos Plaza and whose El Faro Beach Club counterpart features a modern infinity pool, swim-up bar, seafood restaurant and spa. From US $180 a night. A design lover’s dream, whether overnighting or just visiting (depending on occupancy non-guests can purchase pool passes) the exquisitely styled and ridiculously photogenic San Cristóbal is pure sophistication. From US $350 a night. There are miles of pristine sandy beaches to explore in Baja. For those that prefer amenities and somewhere to sit down for lunch, then Playa Cerritos will be perfect. The Hotel Cerritos Surf Town is located here (it has a nice outdoor pool, bar and restaurant) and the Barracuda Cantina (set back from the beach) has garnered solid reviews since opening. For those that like to pack a cooler alongside the beach towels and umbrellas, then Playa Los Palmas at Mile Marker 57 – complete with palm tree grove and lagoon – is a solid choice. In tune with Todos’ laidback vibe several yoga studios offer drop-in classes for visitors and locals. 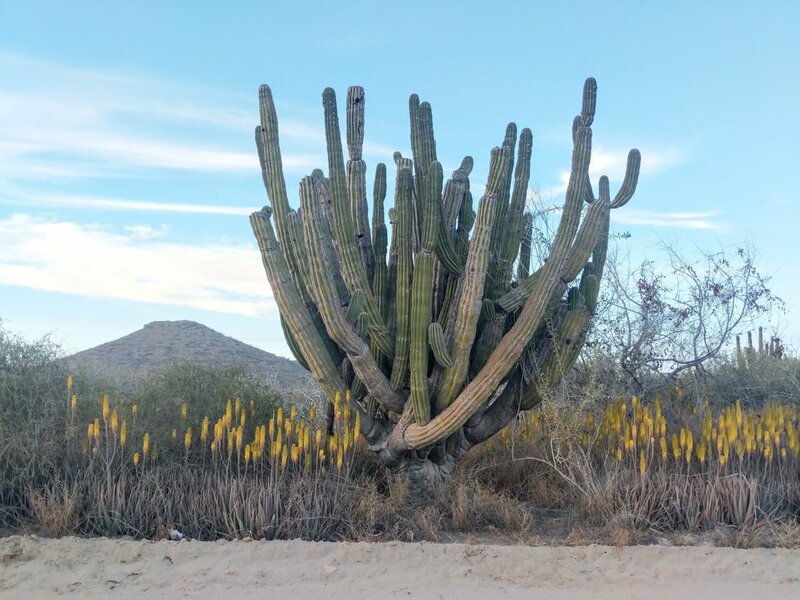 Hatha, vinyasa, and yin are on the schedule at Quatro Vientos, while Baja Zen in El Pescadero offers a public class every morning at 9 a.m. (except Tuesdays and Thursdays). They’re also running a five-day yoga and surf retreat in May. Another option is Pachamama – just north of town the picturesque property boasts a recently refreshed holistic spa and boutique accommodations (including 12 darling adobe teepees) and hosts a variety of multi-day retreats throughout the year. 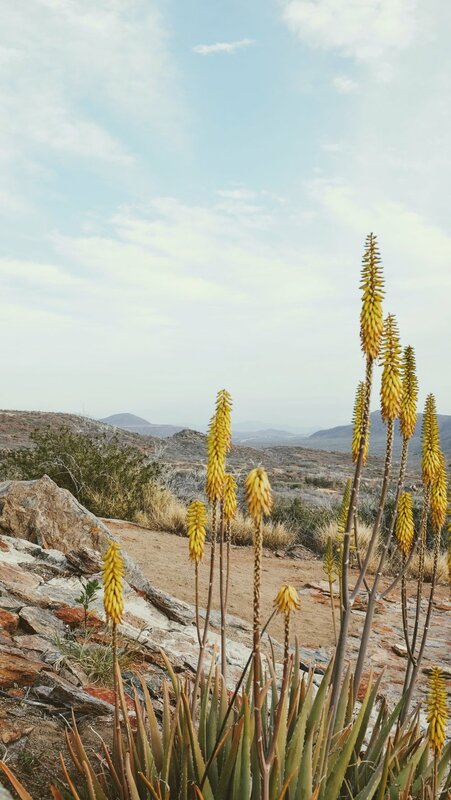 Outdoor adventure types – who want to swim with whale sharks and sea lions in the Sea of Cortez, SUP the aquamarine waters of Balandra Bay or ride a mule in the foothills of the Sierra de la Laguna mountains – should make time to stop by the offices of Adventure 19. Specializing in sustainable tourism, all trips and excursions are led by knowledgeable local guides and run the gamut from scuba diving to overnight camping and surfari trips. 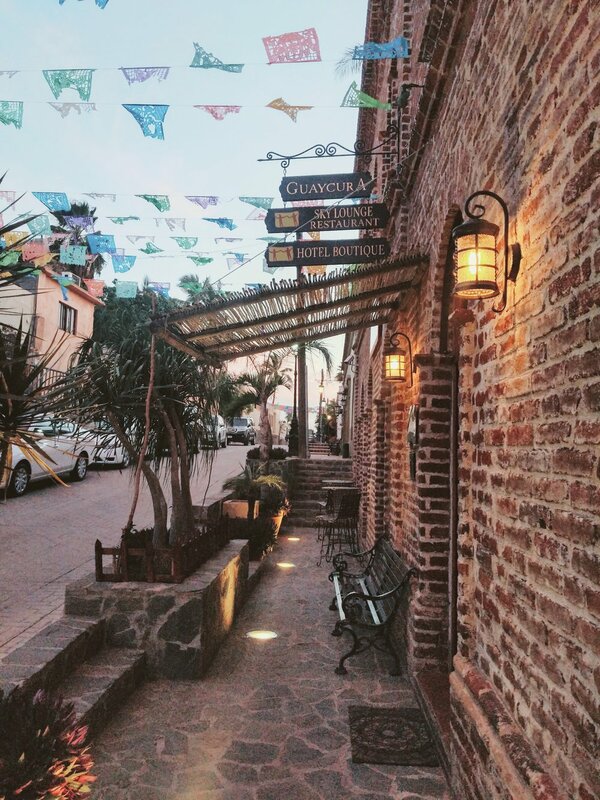 Todos is dotted with local galleries and boutiques. 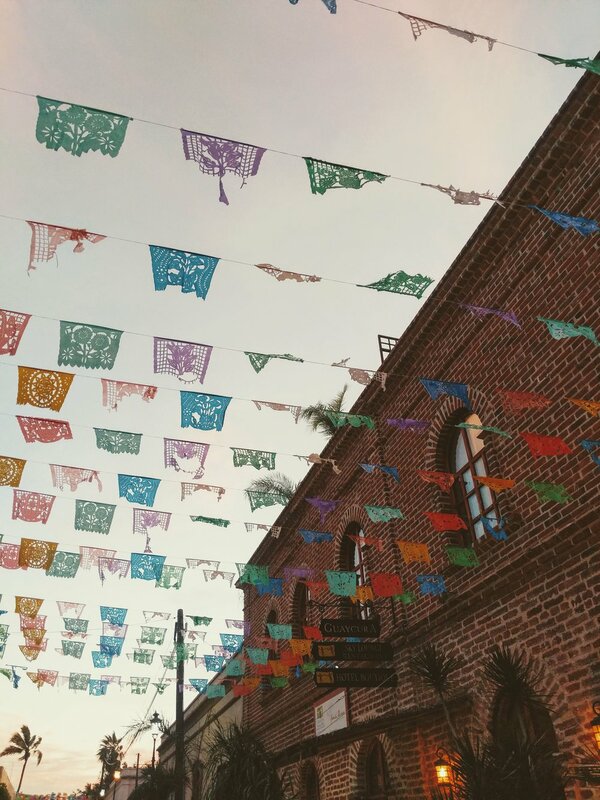 Highlights include La Sonrisa De La Muerte for quirky and original prints by artists from across Mexico, Nomad Chic for beach blankets and homewares and El Taller on The Plaza for high-end locally made linens. 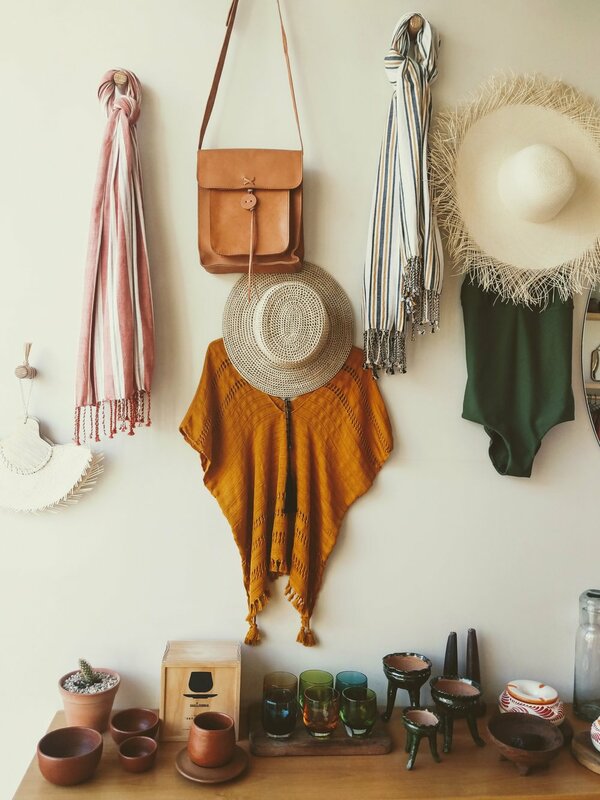 LOVEleigh Designs (just off the highway in El Pescadero) is worth a stop for bohemian inspired women’s clothing, swimwear, and accessories, as well as The Blanket Factory, a family owned textile business with handwoven serapes outside of town. Be prepared to do some damage on the credit card at Hotel San Cristóbal’s gift shop which is filled with effortlessly stylish apparel, coffee table books, Sandovalis perfumes, and Mexican-made wares, among other tasteful treasures. La Esquina | This health-focused café serves sandwiches, soups and smoothies made using locally grown and sourced fruits and veggies. Calle Topete and Horizonte S/N. Taller 17 | Hip coffee bar for cappuccinos and lattes, plus fresh baked breads and pastries––the cheese and bacon toastie definitely deserves a mention. Calle Miguel Hidalgo y Costilla S/N. Cafelix | An expat favorite for the morning––think pancakes, pastries and endless people watching. Calle Juárez S/N, Centro. Baja Beans Café | Alongside freshly baked croissants and gluten free cookies, these local roasters serve all the usual suspects when it comes to caffeinated drinks. Carretera 19 Km. 63 23300 El Pescadero. Mi Pueblito | Colorful hole in the wall style eatery for tasty enchiladas, fajitas, and ice cold cervezas. Calle Miguel Hidalgo y Costilla. Bleu | Grab coffee and a slice of cake or sit back with an Aperol spritz in this hidden gem garden restaurant (also open for breakfast) behind the Ezra Katz Gallery. Benito Juarez S/N. Restaurant Bar Bahia | Some say the best fish tacos in town, the generously sized eats at this simple spot are affordable and delicious. Marquez de Leon S/N. La Casita Tapas & Wine Bar | Don’t let the name fool you, La Casita serves decent sushi and sashimi too—and an afternoon can be easily whiled away on its courtyard patio. Calle Herocio Colegio Militar. La Copa Cocina | Tucked inside The Todos Santos Inn, the menu here covers classics, including a pink mole duck. 33 Calle Legaspy. Sky Lounge Bar | Enjoy views over town and beyond with a bottle of wine and appetizers at Guayacura’s rooftop bar. Av. Legaspy 27. The Green Room | Get off the beaten track at this alfresco spot on Playa La Pastora for sunset margaritas and smoked marlin tacos. Villa Santa Cruz Lote 462 SN, Camino a la Playita. El Mirador | Stop by for a sundowner and splurge on dinner at this upscale restaurant, which enjoys almost 360-degree coast and desert views. Camino a El Mirador Restaurant 1, Calle Pedrajo. Benno | Hotel San Cristóbal’s classy restaurant serves breakfast until 11 a.m. and reopens at 5 p.m. for dinner. Carretera Federal No19, Playa Punta Lobos. A native Brit, Keri Bridgwater lived and worked in Sweden, New Zealand and Colorado (between various adventures through Asia and South America) before moving to San Diego nine years ago. A freelance writer, she covers travel, culture, food, and lifestyle stories for various publications and websites. Follow along with her adventures on Instagram at @keri.bridgwater.